Football megastar Cristiano Ronaldo appears in court near Madrid on Monday accused of evading millions of euros in taxes, the latest player to fall foul of Spain's taxman.The 32-year-old will be questioned by a court in Pozuelo de Alarcon , a wealthy suburb of Madrid where he lives, after returning from a summer break with his girlfriend and relatives and a promotion trip to China. Football megastar Cristiano Ronaldo appears in court near Madrid on Monday accused of evading millions of euros in taxes, the latest player to fall foul of Spain's taxman.The 32-year-old will be questioned by a court in Pozuelo de Alarcon , a wealthy suburb of Madrid where he lives, after returning from a summer break with his girlfriend and relatives and a promotion trip to China.The Portuguese star - the world's highest paid athlete according to Forbes magazine - follows in the steps of his arch-rival, Barcelona forward and Argentina star Lionel Messi , who was found guilty of the same offence last year. 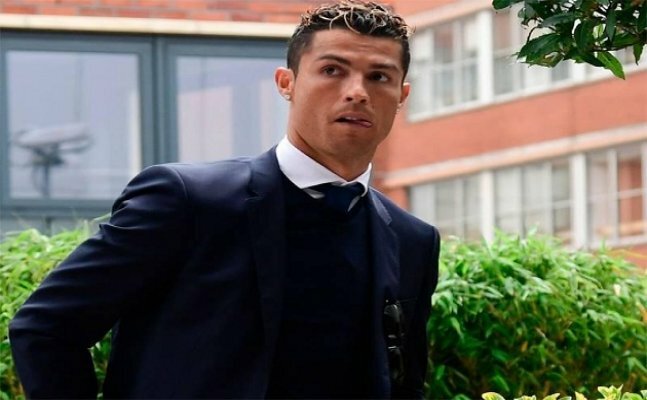 Other footballers have also recently run into trouble with Spain's taxman, some of them already convicted and others under investigation.Prosecutors accuse Ronaldo of having evaded 14.7 million euros ($17.3 million) in tax.They allege he took "advantage of a company structure created in 2010 to hide income generated in Spain from his image rights from tax authorities".They say this was a "voluntary and conscious breach of his fiscal obligations in Spain".Prosecutors accuse the four-time world player of the year of evading tax via a shell company based in the British Virgin Islands and another in Ireland, known for low corporate tax rates.In addition, they say the Real Madrid striker only declared 11.5 million euros of Spanish-related income from 2011 to 2014, while what he really earned during that time was close to 43 million euros.And finally, they accuse him of "voluntarily" refusing to include 28.4 million euros in income linked to the sale of his image rights for the 2015 to 2020 period to a Spanish company.Ronaldo has defended himself, saying his "conscience is clear".His agent's company Gestifute has also denied any "fiscal set-up" and said "the player didn't hide anything".But the allegations still took their toll, and the man with the "CR7" brand. According to press reports, Real's all-time top goalscorer, threatened to leave Spain over the affair, giving supporters a fright.He has since hinted he will stay on, telling Spanish sports daily Marca that he would like to continue to win trophies for Real.If he were put on trial and found guilty, Ronaldo risks "a fine of at least 28 million" euros and could potentially be jailed for three-and-a-half years, the Gestha union of experts at Spain's Inland Revenue has said.Since extending his contract last November until 2021, Ronaldo is the highest paid sports star in the world with $93 million (79 million euros) earned in 2016-2017, according to Forbes.